This entry was posted in Which Open Source Blog on April 30, 2013 by Administrator. Moon Light Admin is a modern Bootstrap template for any backend, user interface or administration, both for desktop, ipad and mobile users. Built on latest Twitter Bootstrap and powered with Sass, Moon Light Admin will save you hours in developing your project. Theming – Moon Light admin used with 9 variables in main scss file and you can easily add your own colors and adjust it to your website. Responsive design – Moon Light admin will always fit to the current browser width and will give you and your clients a great user experience. Flexible – Moon Light admin will gives more features. The code is developer-friendly and everything will be able to customize it. Works on every major e-mail client. MoveOn is a premium email template that was designed for use by anyone in marketing or informing about products or services. It comes with five variations of designs with six option of colors. 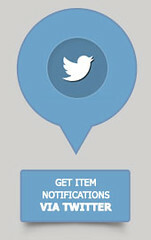 Other than that, you can change the color theme of the template easily because we made most of design elements in HTML. 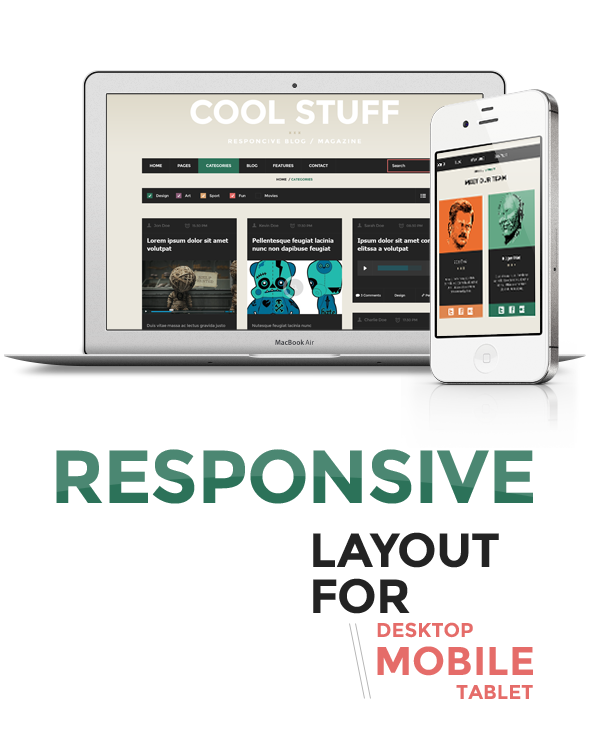 MoveOn is coded with a responsive design which means it will look great no matter how you view the site. This email template will scale and change the layout itself depends on the screen size or position. This makes your email easily readable to mobile devices, tablets, and desktops alike. We provide PSD source for header image so you can easily edit it as you need. Not only that, inside the PSD we also provide realistic tablet and mobile mockup with Smart Object layer for their screen, so you can replace it with your own application interface or any other image as you want. We need to make sure that we can provide a clear cut call-to-action regardless of whether or not the user chooses to download images. So, we only use HTML/CSS for creating button and if the user doesn’t turn the image on, your action button is still exist.  Editable PhotoShop files for header images, article icons and footer icons. Each PhotoShop file for header image has realistic tablet/mobile mockup with Smart Object layer. 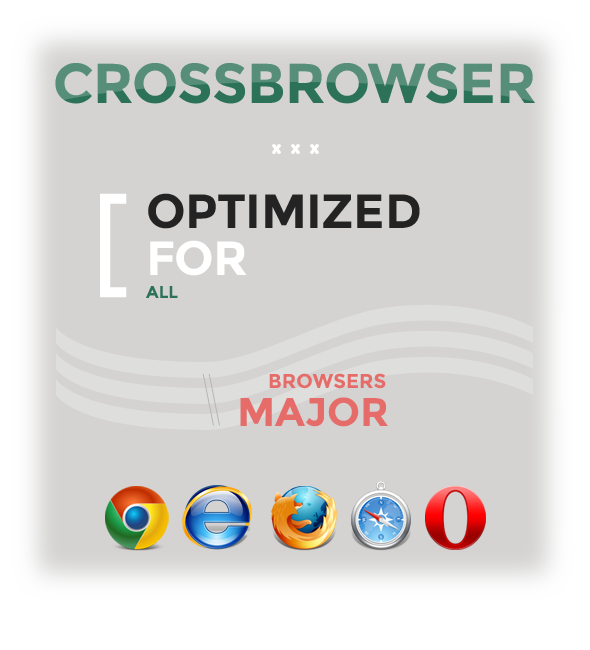 Tested on major email clients and web-based email services. PhotoShop files for modification of header images, article icons and footer icons. Bebas Neue by Dharma Type. Please note that item package is using blank/dummy image. Contact form on Jakartanese ThemeForest Profile. Comments area on this page. 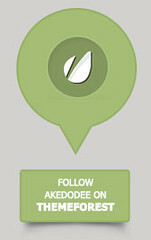 Jakartanese is proud to be a member of IdEA : Indonesian Envato Authors. This template is designed for casting agencies. So whether you’re a producer looking for background talent, or a background actor looking for work, this template is created to meet all of your needs. This release consisted with 7 PSD files. All layers are organized properly, so it takes you a moment to find necessary layer and edit it. We would like to thank you for your purchase and hope that you will enjoy using of our product. Cheers! Write about it is a responsive blogging theme designed with simplicity in mind to give the best possible focus on your content. This theme is perfect for personal or team blogs or even as your photography portfolio. It has full post format support, uses the theme customizer to customize the theme, has shortcodes support through my free plugin and is fully responsive. You can view the documentation before purchasing here. Posting a gallery of photos from your office party? Or maybe you want to allow your visitors to listen to your latest track? With full post formats support, this theme can display your content differently depending on what kind of post it is, for example if you are just wanting to post a link to a site, you probably don’t want your avatar, the title of the post, the number of comments etc. showing on the post, so with post formats you can set it to just show the link. This theme supports; aside, gallery, link, image, quote, status, video, audio and chat, and you can easily turn off elements through the customizer. 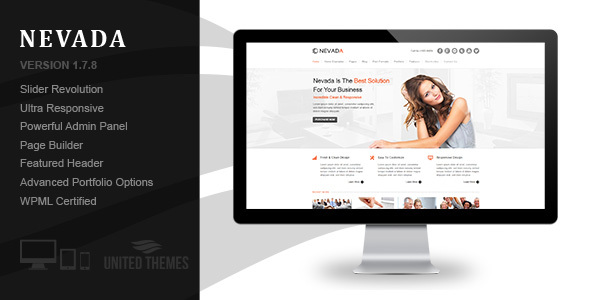 The theme customizer is a built in feature of WordPress to allow you to tweak certain options on your site. With this theme you can change the logo, add header icons, add a header background image, set the site layout, primary colour, heading and paragraph font (which includes a selection of Google Web Fonts). You can also add custom css, select which post format elements you’d like to show, enable/disable the new gallery and add copyright text. Write about it is fully responsive, from your desktop right down to your iPhone, you will get a pleasurable reading experience however you view it. Shortcodes are available in this theme, through my free “Simnor Shortcodes” plugin. 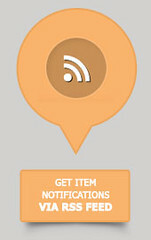 You can add buttons, tabs, videos, google maps, toggle boxes and much more, all within an easy to use plugin. Responsive design so it looks great across all sized devices. Theme Customizer to easily setup your theme. Add up to 5 Header Icons from FontAwesome. Add a Header Background Image to personalise your blog. Choose your site layout to have a sidebar on the right or left or make the site full width. Shortcodes integration through the free Simnor Shortcodes plugin. Custom widgets through the free Simnor Widgets plugin. Social links on author profiles under a post and in the author archives (perfect for a team blog). Post timeline page template, to list your posts by month in a timeline style. Full width, archives and blog authors page templates. No bloated code, everything nicely commented ready for developers. Support is provided via the support forum over at Simnor Labs where you can also find the documentation and knowledge base articles. Includes Awesome Revolution Slider – $15 Value! 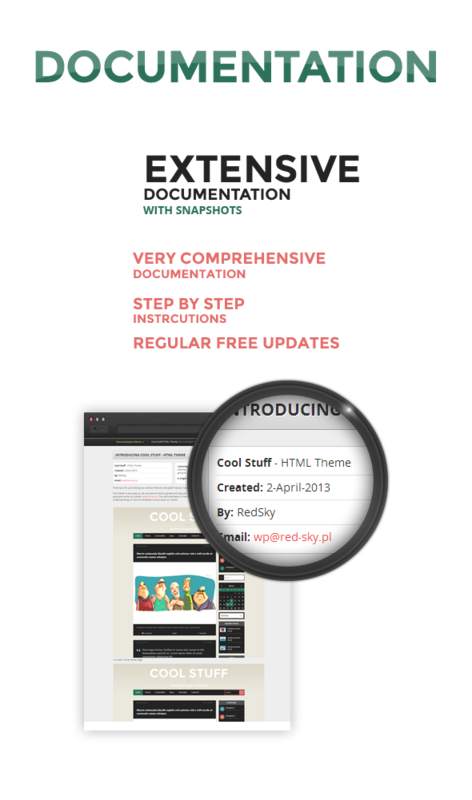 Thank you for your interest shown to RedSkyThemes and your purchase of Cool Stuff Theme. We highly appreciate this. Cool Stuff can be used as a blog, magazine or creative template. Additional pages can be easily created with the existing elements, there are predefined pages already created. Rainbow Theme, fresh approach towards WordPress. Rainbow Theme is a premium theme, SEO friendly, reatina ready and fully responsive. It is a perfect choice for all of you who are lookign for something fresh, elegant and powerful. While creating our theme we tried to think out of the box to give you a brand new way of prezenting your content as we believe that content is the king. We came up with the “rainbow” stripes and boy they look amazing in combination with black and white, color and no photos at all. We think you are going to like our approach and where we are going. If you would like to stick with, rather, standard “home page” you alwasy have this option in WordPress settings. Happy using. Today we give you the first version of our Rainbow Theme. Looking forward to your feedback! Decco is Responsive “Coming Soon” and “Under Construction” page. It has fullscreen slider, awesome countdown, social networks (20+ social network icons), contact form and muchmore… This template built with Responsive Framework Skeleton (Easy to Customize). Support: If you have any questions, please use the comment section of this item. This way other users can benefit from the solution as well. I will try my best to answer every question. Rating: If you like my work, please rate it. If you’re about to rate it with less than 5 stars, please let me know the reason first and I will do my best to improve the theme.